On arrival at Jalpaiguri Railway Station / Airport Executive who will assist you to board your vehicle to Gangtok. in evening we will process some market refresh your self in fresh and calm air appreciate the beautiful magnificence. overnight stay Hotel. After breakfast pick up from hotel at Gangtok & transfer Hill station with Majestic Mountains, soothing cool breeze, you'll arrive Gangtok where you' ll be transferred to the pre-booked hotel. 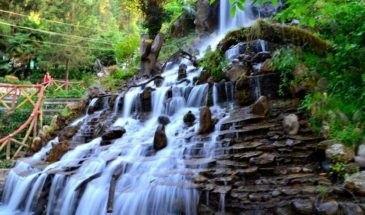 you can enjoy a leisure walk at the 1- MG Road 2- Tashi viewpoint, 3- Ganesh Tok 4-Ban Jhakri Falls 5-Saramsa Garden and over night stay in Gangtok. 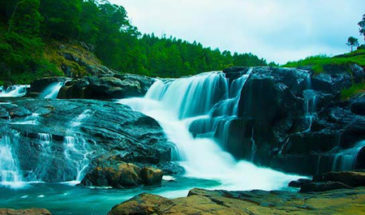 After breakfast, today you get exchanged to Namchi in 2 hour drive from Gangtok, lying at an elevation of 1243 m over the ocean level, at the lower regions of the Himalayan Mountains. Today you can vistit some famous at Namchi like 1. Maenam Wildlife Sanctuary 2. Ralang Monastery 3. Guru Padmasambhava Statue, Samdrupste Hill 4. Solophok Chardham After sightseeing come back to hotel and over night stay. After Breakfast you visit Darjeeling (An admirable Hill station with Majestic Mountains, soothing cool breeze,In 2 hrs, you'll arrive Darjeeling and visit 1- Ghum Monastery 2- Peace Pagoda, Darjeeling 3- Padmaja Naidu Himalayan Zoological Park 4- Dali Monastery where you' ll be transferred to the pre-booked hotel Overnight Stay in Hotel. Sikkim is also home to glaciers, alpine meadows and thousands of varieties of wildflowers. Steep paths lead to hilltop Buddhist monasteries such as Pemayangtse, which dates to the early 1700s. Pay & Hold : Pay Rs. 1,000 per person now and hold the package at this price, payment as per policy can be made in the next 24/48 hrs. Holding of seats are subject to availability and in case of non availability of selected seats you can choose from a wide range of departures. To avail this option, click “Book Now“. Nestled between the mighty peaks of the Himalayas, the city of Gangtok rises as a center for Tibetology and Tibetan Buddhist culture. 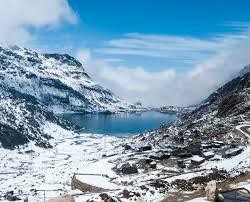 It is the capital of the state of Sikkim in India and a popular destination for globetrotters. 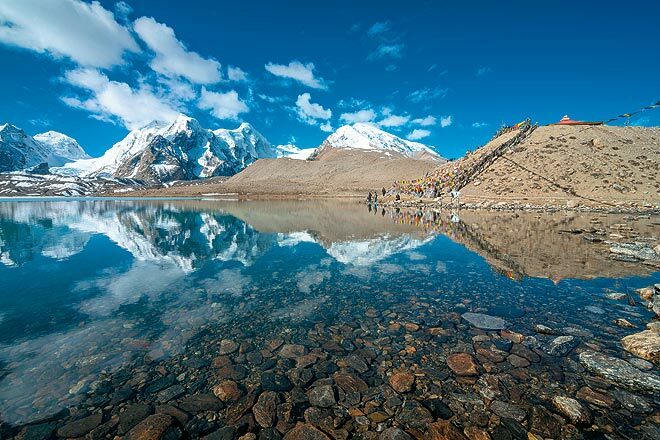 With its stunning views of Mount Kanchenjunga, the third highest peak in the world, this beautiful city gained prominence after the construction of Enchey Monastery. Today, Gangtok is home to many monasteries and educational institutions. The Namgyal Institute of Tibetology, Himalayan Zoological Park, Ganesh Tok, Enchey Gompa and White Memorial Hall, are few of the attractions in Gangtok. Another feature of the city, is that it acts as a gateway to other parts of the state. 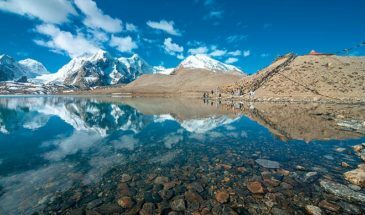 It is very easy to travel to the various places of interest in Sikkim from Gangtok like Tsomgo Lake, Yumthang Valley, Nathu La Pass, Pelling and more. Sightseeing Tour by Swift Dzire/ Indigo or Similar A.C. car as per the itinerary. (optional). Complimentary gifts included as per the plan. (optional). The tour guide (Games & Activity Planner) included as per the plan. Sikkim can be reached by flight, regular flights are of all carriers are available up to Bagdogra airport. From airport frequent, pre-paid taxis are available to Sikkim. By rail nearest railway station is new Jalpaiguri station( NJP). From NJP frequent pre-paid taxis are available to Sikkim. Buses are also available from Siliguri located near NJP. Bagdogra airport to Gangtok is 123 km. From New Jalpaiguri 125 km to Gangtok. Why there is need for Inner Line Permit , Restricted area permit / Protected area permit required for foreign nationals? 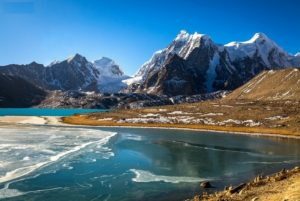 Why Nathula and Gurudongmar lake are not yet opened for foreign nationals? Since Nathula and Gurudongmar lake are located in the international border areas. These are not open for foreign nationals.